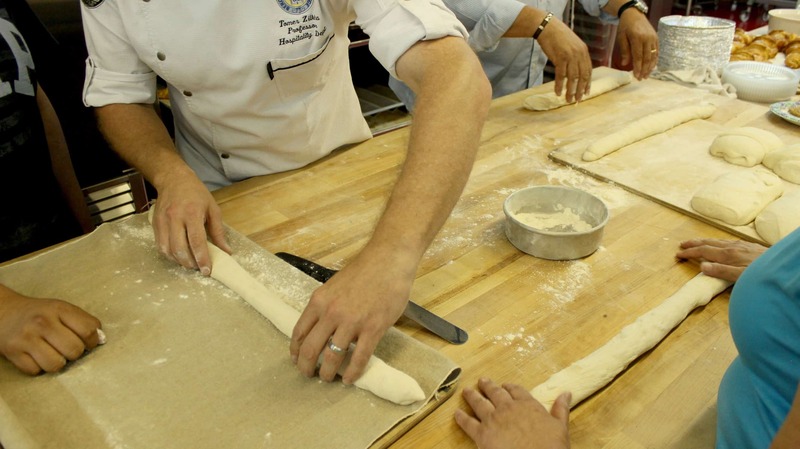 Tagliavini is a leader in producing high quality baking solutions for artisan bread bakers and confecionteries. 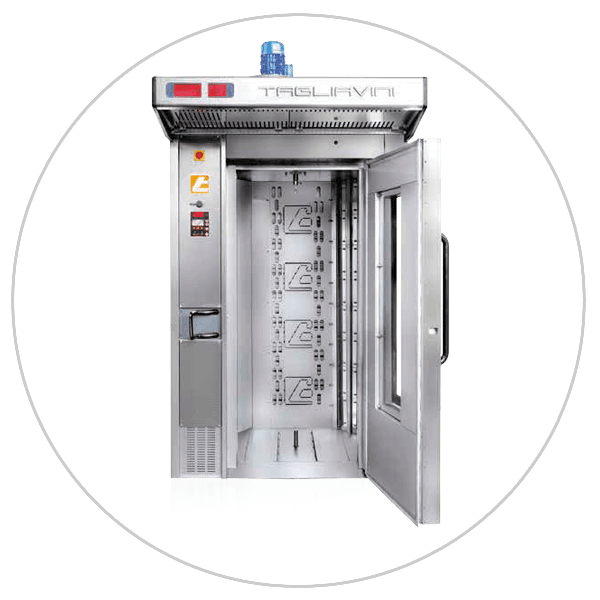 Founded in 1934, Tagliavini has been a leading producer of combination (dual convection and deck ovens), convection, deck, rack and tunnel ovens. In addition, the company also offers a wide assortment of oven loaders. 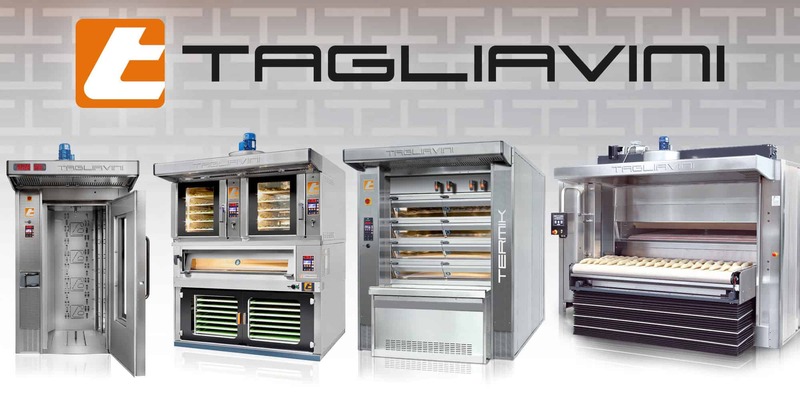 Erika Record baking Equipment equipment is an exclusive distributor of Tagliavini. For more information, please call our bakery equipment sales office and showroom at 800.682.8203 or click here.  Erika Record Baking Equipment is proud to offer a full range of oven solutions for your bakery, restaurant, or foodservice establishment. 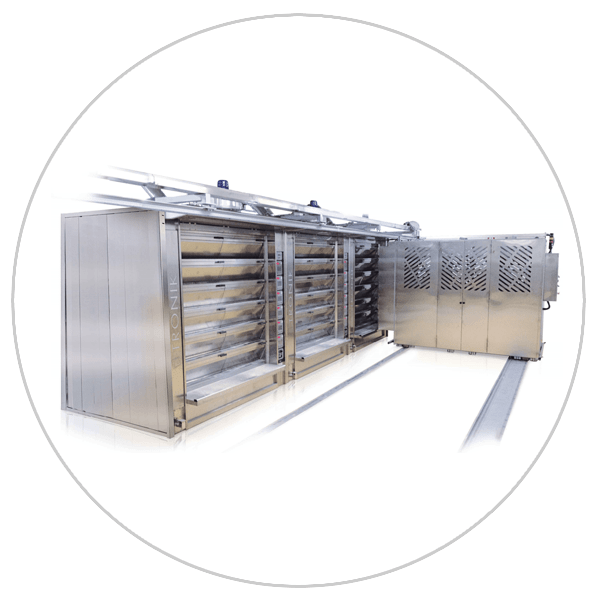 Our comprehensive lineup includes: combination, convection, deck, rack, and tunnel oven options with a large assortment of oven loaders. In addition we offer both electric and gas powered ovens, with some models even offering a bio-fuel option. 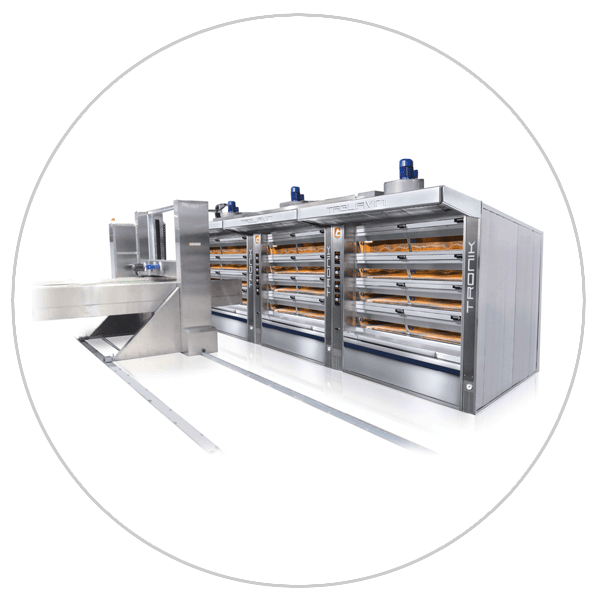 A high quality, industry leading retarder proofer for artisan bread bakeries. A combination electric deck and convection oven with an available proofing cabinet, ideal for retail operations making both bread and confections. Convection oven with even baking available in 5 and 10 pan configurations with an optional proofing cabinet. 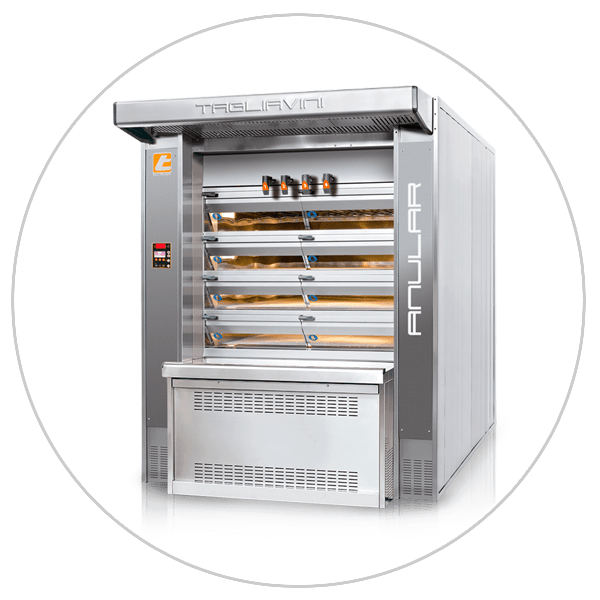 Annular style steam tube deck oven ideal for large artisan breads. Provides a consistent and even bake via it's large mass and heat retention. 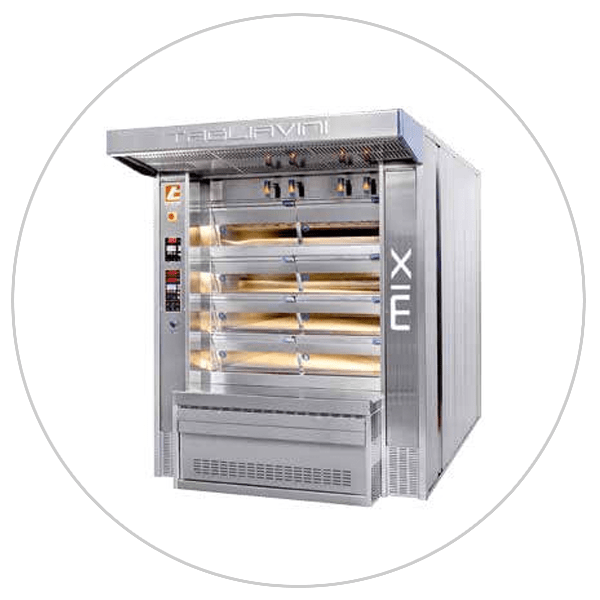 A modular electric deck oven perfect for artisan bread baking. Additional decks can also be added post purchase. 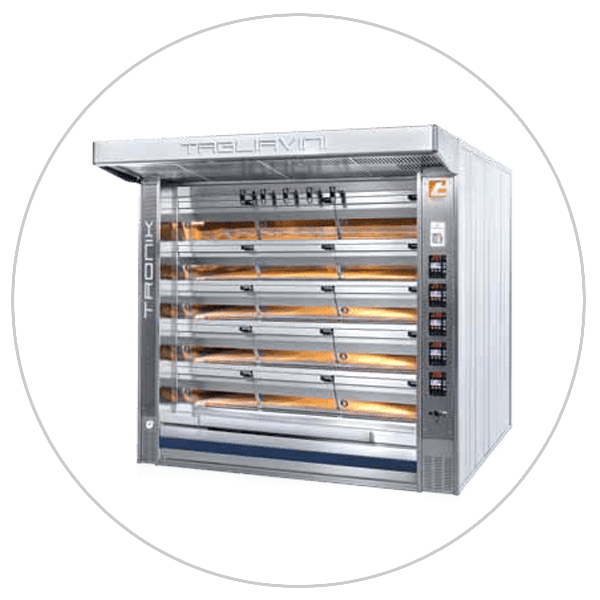 A modular electric deck oven perfect for both pizza and artisan bread baking. Additional decks can also be added post purchase. A cyclothermic deck oven perfect for artisan baking. 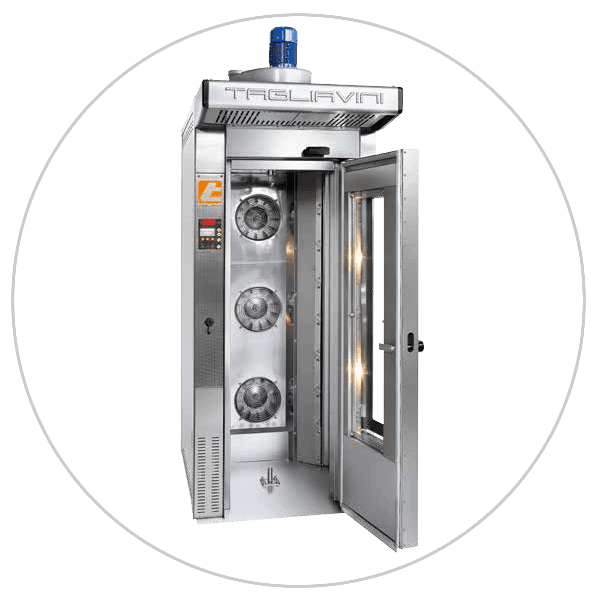 This oven provides a consistent and even bake with rapid temperature recovery. A cyclothermic deck oven perfect for artisan baking. 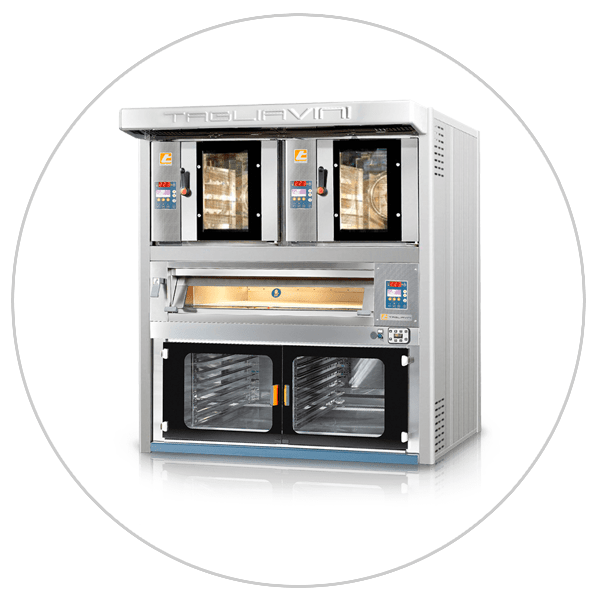 This oven provides a consistent and even bake with rapid temperature recovery.It also features an electric deck for baking different products at the same time. 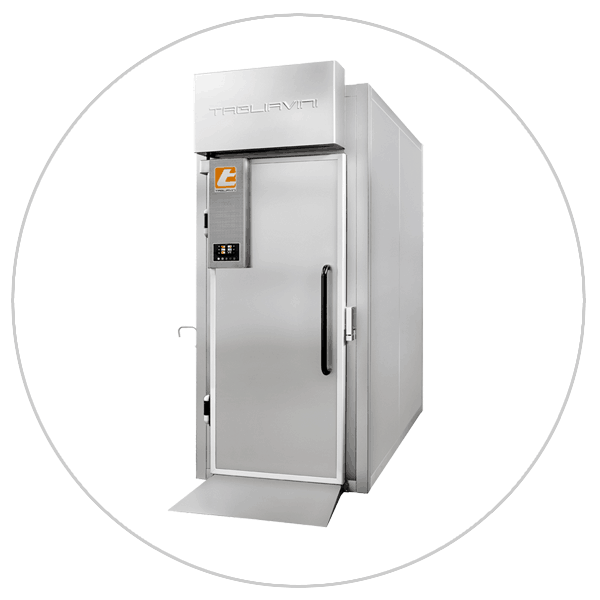 An industrial electric deck oven perfect for facilities with abundant renewable energy. These ovens can be used for large scale artisan bread baking. 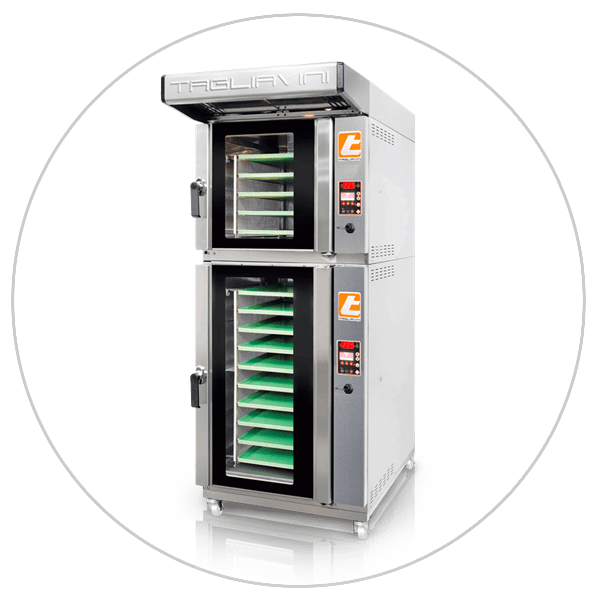 An industry leading rack oven, also available in a double rack configuration. 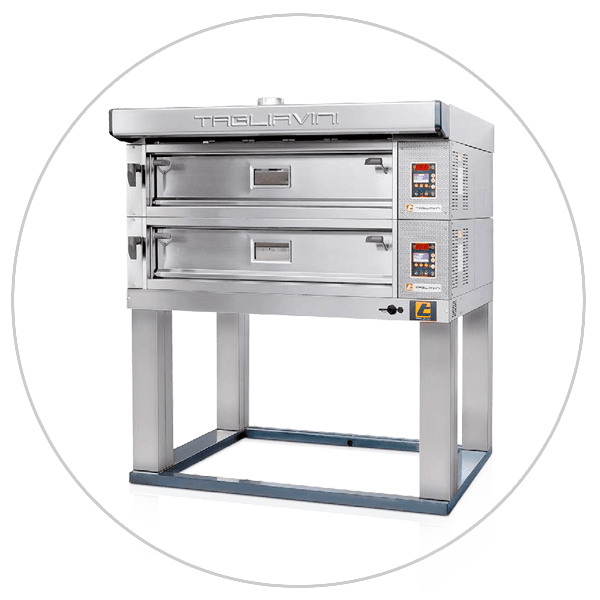 A heavy-duty, industrial rack oven, also available in a double rack configuration. This oven is perfect for round the clock baking. 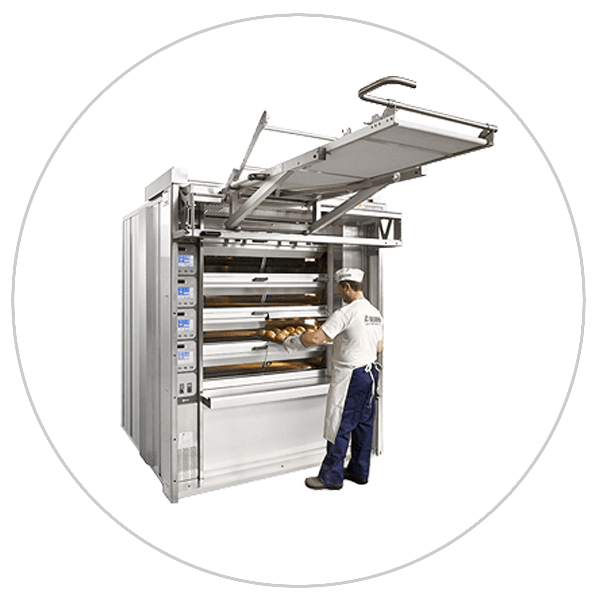 An automatic, compact, double deck tunnel oven perfect for large scale artisan bread production. This oven also facilitiates batch baking. These loaders are connected via a rail system that allows the loader to slide left and right across the front of the oven. The loading deck moves vertically across the oven to assist in the loading process. These loaders operate via a series of levers and spring based hydraulics. The trolley typically rests within a track on the oven floor. 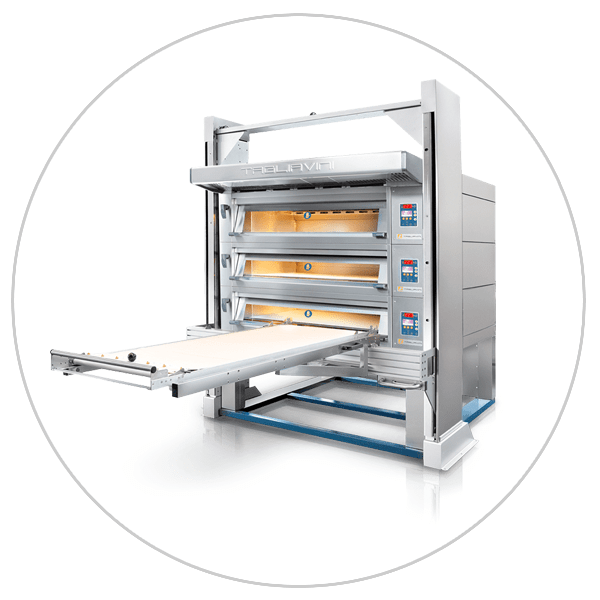 These loaders are built directly into the oven and feature a dual counterweight and rail system to easily move the loader both vertically and horizontally across the oven. 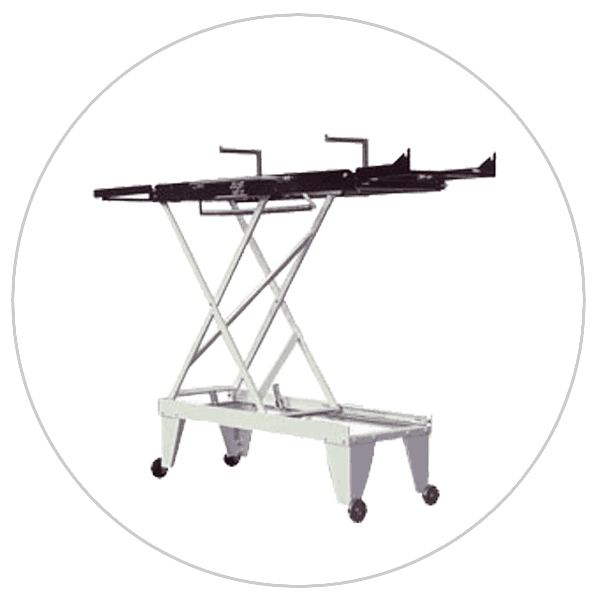 When not in use the loading table stores overhead. 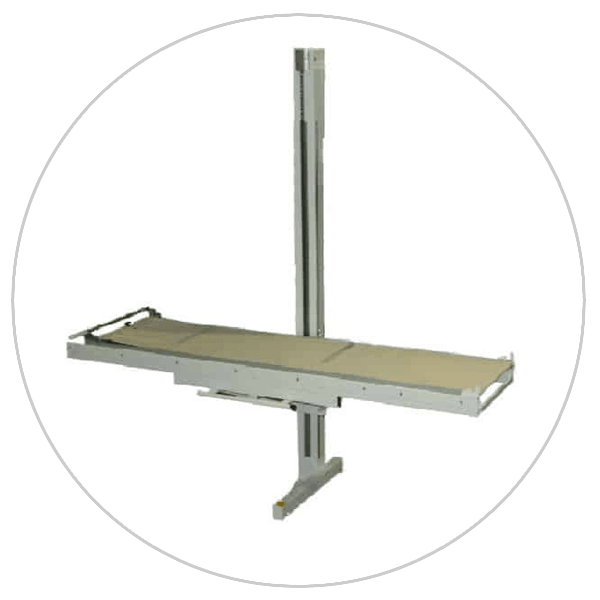 These loaders are designed to load and unload multiple oven decks at once and rest on floor rail system. 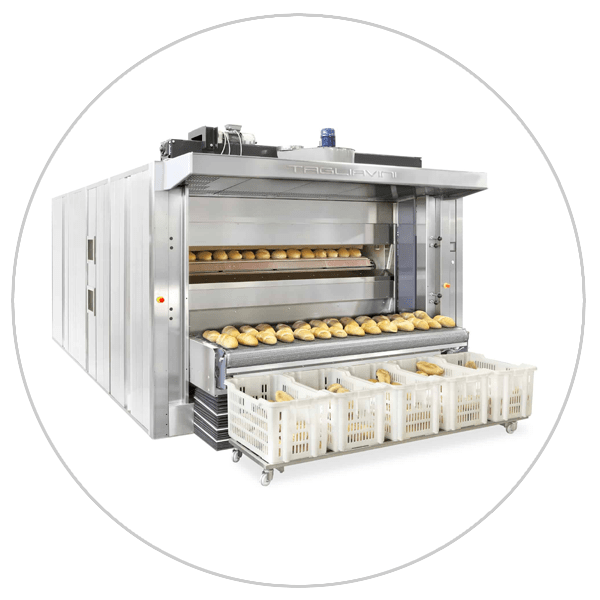 These loaders feature a robotic, programmable, automated oven loading solution available in both Easy and Full trim models.